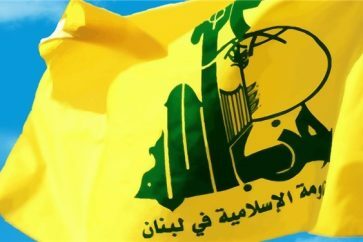 The stern warning issued by Hezbollah Secretary General Sayyed Hasan Nasrallah against the Zionist entity seems to be a thoroughly considered position, regarding its timing and content. His messages have considerably become more present at the security and political decision making institution in Tel Aviv, as well as among Hezbollah friends, allies and opponents in Lebanon. In a televised speech marking Hezbollah Martyr’s Day, on Saturday, Sayyed Nasrallah linked reiterating his commitment to the inevitable response to any Israeli aggression against Lebanon, to Israeli, American and some European pressure. 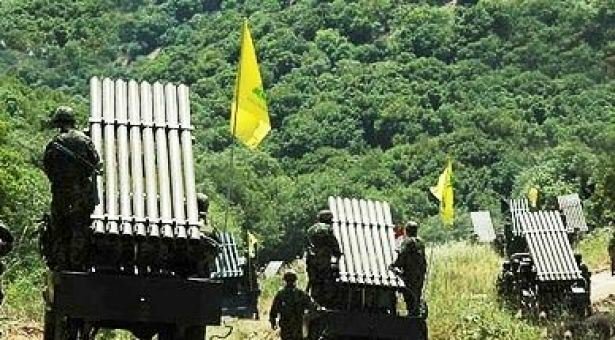 This pressure aims at dispossessing Hezbollah of the most important element of force, missiles, in the deterrence equation that prevents the enemy from violating the Lebanese territories. In parallel, the enemy continues pursuing its policy of intimidation which aims to suggest that Lebanon is left with basically two options. The first option compels Lebanon to abandon these capabilities that protected it in the most dangerous phase Lebanon has ever been through. The second option suggests that the Zionist entity will move to the next stage of deliberate attacks on the Lebanese territory. Tel Aviv, along with many international, regional and local trumpets, bets that its intimidation policy will definitely contribute to re-imposing their missile capabilities that have protected Lebanon for 12 years on the local political agenda under the influence of the intimidation and the US as well as the European pressures. Israel had recently tried to increase its pressures over the Hezbollah’s rocket arsenal and to create “a state of intimidation and threat that if this matter is not addressed, it (Israel) will address it”, according to Sayyed Nasrallah. Israel had used “the Americans and even some European states” in this effort, he said. “Lebanon must bear this level of diplomatic pressure,” Sayyed Nasrallah said. “We will definitely respond to any attack on Lebanon, any bombardment or air strikes on Lebanon,” he added. The position of Sayyed Nasrallah, in regard to content, came to confirm Hezbollah’s decision. Regarding its timing, this (Sayyed Nasrallah’s) stance came at the height of Lebanon’s need to assert its adherence to its capabilities, and to its decision to immediately respond. Sayyed Nasrallah’s position affirms that Lebanon’s choices are not confined to accepting the external dictates that deprive it from its strength, or to authorizing Israeli occupation of its soil. 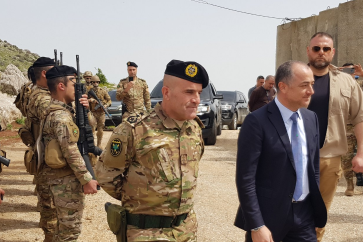 In fact, demilitarizing Lebanon paves the way for the enemy to violate the Lebanese territories and to build a radically different homeland instead. 1. 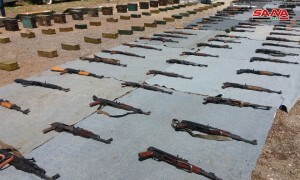 Refraining from starting attacks which entail Hezbollah’s response. 2. Starting an attack, receiving the vowed response and then retreating. 3. Starting an attack and responding to the response. According to the first scenario, the enemy will have refrained from any military adventure; thus, Hezbollah will have achieved its deterrence goal. According to the second scenario, the enemy will eventually be deterred after testing the seriousness of Hezbollah. Accordingly, Hezbollah will attain its deterrence goal, perhaps with some sacrifices and a painful, horrific price inflicted on the enemy. According to the third scenario, which is now the most unlikely to happen, the enemy will face a broader confrontation. Thus, we will face a strategic decision taken by the enemy to attack Hezbollah, but with the prior recognition that the outcome will be very painful. It is worth mentioning that even those who are exaggerating and dramatizing things in Israel are not talking about waging war on Lebanon. In all cases, Hezbollah has again been able to dispel Israeli bets, re-mix the cards on the decision maker’s table in Tel Aviv, and disrupt its cost and feasibility calculations.